BMW X3 Performance, Engine, Ride, Handling | What Car? We have yet to try the 2.0-litre petrol 20i, but the 187bhp 2.0-litre 20d diesel is likely to be the best seller and is also our pick of the range. It offers strong performance whether you’re negotiating suburbia or the M1, and enough poke to make B-road overtakes a cinch. In fact, it’s way punchier than the rather lacklustre Land Rover Discovery Sport 2.0 TD4 180, even if it’s not quite a match for the Audi Q5 2.0 TDI 190. The 261bhp 3.0-litre straight-six diesel model (30d) is even faster, making it a more relaxing car to cover ground in. It’s actualy barely any slower in the real world than the range-topping petrol M40i, but makes way more financial sense when you factor in fuel costs. That said, the M40i is awesome if performance is your thing. Its truly breathtaking pace comes courtesy of the 335bhp 3.0-litre turbocharged straight six that lurks under the bonnet and gives it the capability to crack 0-62mph in just 4.8sec and (a limited) 155mph flat out. It's flexible, too; the turbocharger helps to bring a wide band of pull that begins from low revs. Whatever X3 you choose, the standard eight-speed automatic gearbox responds quickly and ensures you’re never left floundering. There are various suspension set-ups for the X3. Passive, non-adjustable steel springs are standard, those of M Sport models being are stiffer and less comfortable as a result, but we recommend going for the adjustable dampers that are available at extra cost, particularly with M Sport trim. 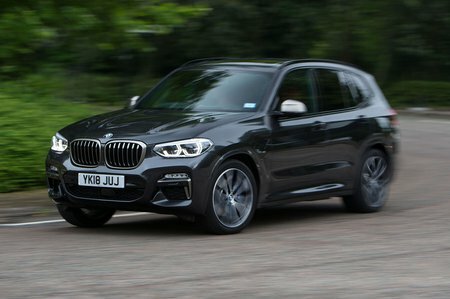 In Comfort mode, it lets the X3 rides pretty well most of the time: in town, it copes with most lumps and bumps ably and remains generally calm at faster speeds – except over dimpled sections of road, where it tends to fidget. It’s still calmer than the Discovery Sport, but for anyone looking for the ultimate smooth ride, a Q5 on its optional air suspension is our pick. If you order the M40i with optional adaptive dampers they come with a special, lowered setup that gives the car a slightly firmer edge. It’s still more comfortable than the standard, passively damped, M Sport suspension, though. 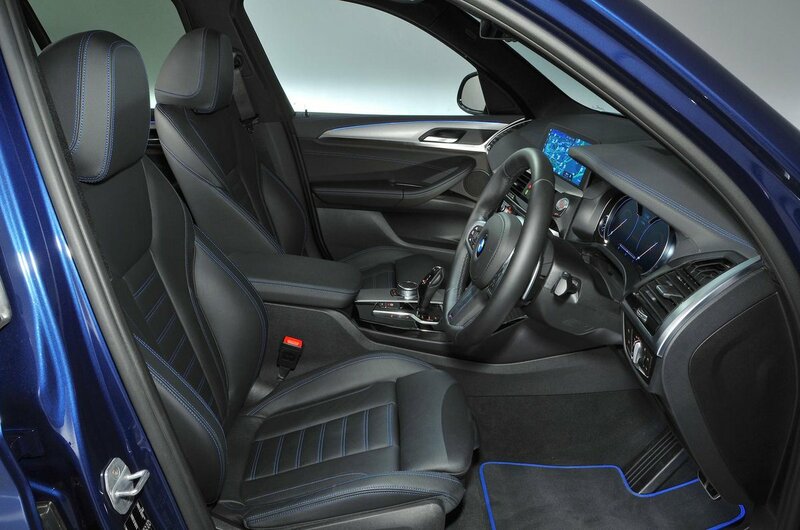 The range-topping M40i has that letter at the beginning of its name because it has been fettled by BMW’s motorsport division. 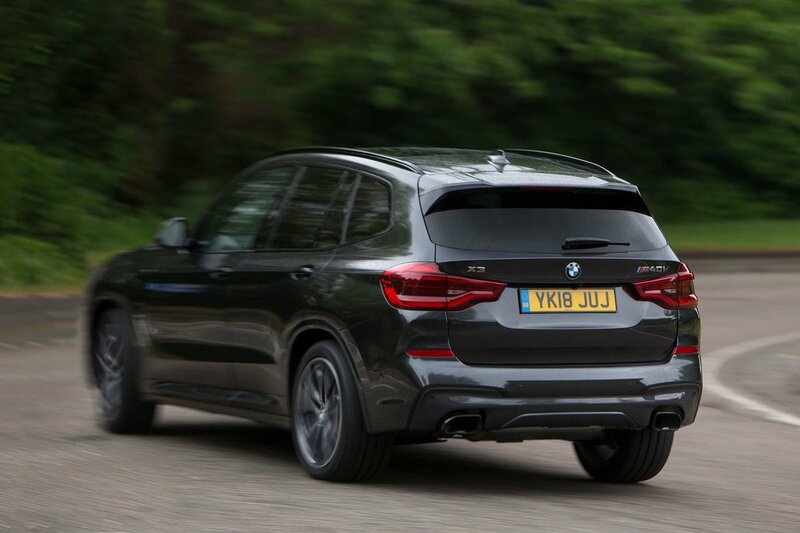 Its bespoke suspension set-up makes it very nearly the best-handling large SUV on the market. The best remains the Porsche Macan, but not by much. The main reason that the Macan edges the M40i is its more communicative steering – in all other respects, the X3 has the Macan matched, and if you enjoy spirited driving you'll relish the way you can make the M40i perform a controlled rear-end slide under power out of corners. In fact, whichever X3 you choose, the standard rear-biased four-wheel drive system ensures massive traction when it’s needed, but playfulness when desired. Having tried cars on adaptive suspension, we can report that, firmed up to Sport or Sport+ modes, it keeps the X3’s bulky body nicely in check through tight bends, but ultimate grip levels are less than you get from a Q5. Although the 20d isn’t the smoothest four-cylinder engine in the class – for that, you’ll want the Q5's 2.0 TDI 190 – it’s better than the grumbly diesel motors in the Discovery Sport. The 30d is extremely well behaved for a diesel, though, remaining decently smooth even under heavy acceleration and sending next to no vibrations back through the X3’s controls. Wind and road noise are very well suppressed, too, almost matching the serenity of the Q5 at 70mph. The sporty M40i can play the role of a raucous performance SUV or, if you need it to, a relaxing cruiser with just a switch of driving mode. In Sport mode, the exhaust bellows, pops and bangs, yet it is almost silent on the motorway in Comfort. The only slight compromise is that its large tyres kick up more road noise on coarse surfaces.